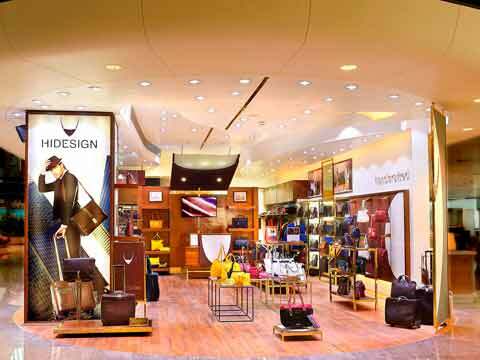 New Delhi: Hidesign opened a boutique at International Bengaluru airport on Wednesday, which it boasts as one of India's most unique concept stores by a luxury brand. The Hidesign store is the brand's 10th exclusive store in Bangalore. The Bangalore airport store is the 5th store at an airport across India and forms an important part of the brand's growth plans. The region contributes 20% of its sales. 'This store is especially designed for the airport and tells a story about our values and the city of Pondicherry. The store will also introduce our designers and showcase our iconic bags,'says Dilip Kapur, President, Hidesign. Everything at the store is created with natural elements and is built by hand. Most of the space is designed using leather and natural wood and we had to get it especially made to be fire resistant, he added. The Bangalore airport store is the 5th store at an airport across India and forms an important part of the brand's growth plans. At present air travellers contribute to about 10% of the total sales.The region is among the 3 most important markets for Hidesign in India after Delhi and Mumbai.